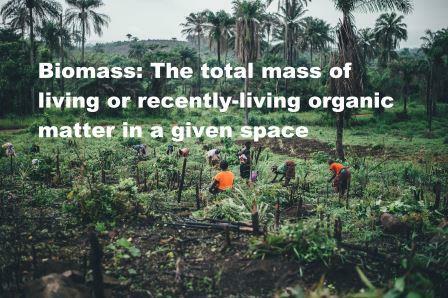 Biomass can be described as the total mass of living or recently-living organic matter in a given space. While virtually any plant species can be used for biomass, there are many species which are adept at creating large amounts in a relatively short period of time. These will vary depending on growing zone and climate. Some fairly versatile examples include comfrey, alfalfa, diakon radish, sorrel and Swiss chard. Most people like to use plants which are excellent nutrient accumulators. See also fast carbon pathways.